PYONGYANG/SEOUL - Even after disembarking from North Korea’s Air Koryo plane at Pyongyang airport, it is difficult to miss the airline’s brand. The Air Koryo conglomerate makes cigarettes and fizzy drinks, besides owning a taxi fleet and gas stations — and all have the same flying crane logo as the carrier. The military-controlled airline has expanded into consumer products in earnest in recent months, visitors to the isolated country say. It was not clear if the diversification into the domestic market was related to the loss of many international routes when the United Nations slapped economic sanctions on North Korea for its nuclear and ballistic missile programs. Washington is now considering tougher measures, including a global ban on Air Koryo itself, to punish North Korea for continuing weapons tests, U.S. officials have said. But any U.S. action on Air Koryo would not be binding on other nations and would have little effect unless joined by China and Russia — both of which have sought to introduce exceptions to United Nations sanctions on North Korea in the past. “China may indeed agree to this kind of ban on Air Koryo since it seems like China and the U.S. have reached an agreement that North Korea needs to be dealt with in some way. But the question is whether Russia will agree to sanctions against Air Koryo,” said Sun Xingjie, an associate professor at China’s Jilin University. North Korean officials are rarely accessible to reporters, and it was not possible to get comment from Air Koryo or from the Pyongyang government. Air Koryo now flies only to Beijing and three other cities in China, and to Vladivostok in Russia. Flights to Bangkok, Kuala Lumpur and Kuwait were dropped last year but, just last month, Air Koryo added a route from Pyongyang to the Chinese city of Dandong, the main transit point for trade between the two countries. Air Koryo has 15 active planes on its fleet, either Russian- or Ukrainian-made, and uses refueling, maintenance and repair facilities in China and Russia, according to aviation databases and U.N. documents. 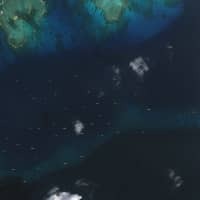 The airline has a number of domestic flights connecting the North Korean capital to Orang, Sondok and Samjiyon towns, according to a schedule available last year. Businesses in secretive North Korea do not publicly share information about revenues or costs, so it was not possible to determine what effect any existing sanctions have had or may have in future. But visitors to North Korea say the Air Koryo conglomerate, owned by the country’s air force, is clearly expanding. 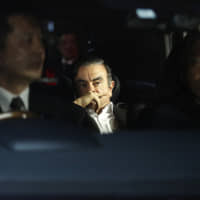 In 2015, the conglomerate launched its own brand of sky-blue taxis, which now parade the streets of Pyongyang alongside cabs from at least eight other state-owned companies. Air Koryo colas and cigarettes are available in shops across Pyongyang. 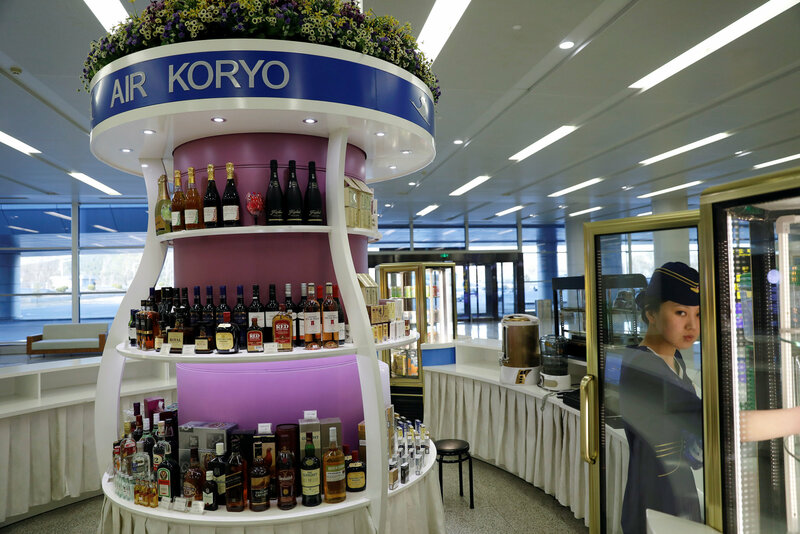 The airline started branching into soft drinks late last year, said Simon Cockerell of Beijing-based Koryo Tours, which organizes travel to North Korea. It got into retail sales of gasoline in January. “They have at least one petrol station in Pyongyang, perhaps two,” Cockerell said. A United Nations panel which investigates North Korean sanctions infringements said in a report in February there was an “absence of boundaries” between Air Koryo and the air force. “The airline’s assets are actively utilized for military purposes,” the report said. 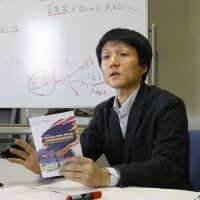 “Outwardly, this seems like a commercial airline, but in effect, this is run by the government,” said Kim Yong-hyun, a professor of North Korean Studies at Dongguk University in South Korea. 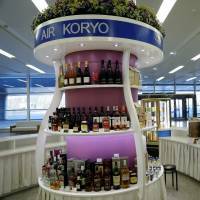 The United Nations has not sanctioned Air Koryo, although it has accused it of being involved in the smuggling of banned goods. Civilian aircraft are exempt from the U.N. ban on jet fuel exports to North Korea when refueling overseas. Member states are required to inspect any cargo originating from North Korea, including on Air Koryo flights. In December, the United States designated Air Koryo, 16 of its aircraft and 10 of its offices as “sanctioned entities,” meaning that U.S. citizens are generally prevented from engaging in transactions with them. 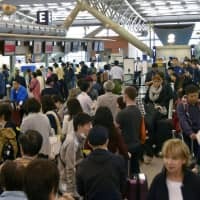 It was not clear if the ban extended to Americans flying on the airline for tourism. Officials at Pyongyang’s airport said they were unconcerned about any attempts by the global community to strengthen sanctions that could target Air Koryo directly. “We are not afraid, we have our own counter actions prepared,” said a customs official, without elaborating, standing at the Air Koryo check-in counter. Kim, the South Korean professor, said any sanctions on Air Koryo would have mostly a symbolic effect. “It will not cause huge damage to the North Korean economy,” he said in the Korean language. “Air Koryo is not a ‘dollar box’ ” bringing in a lot of foreign money.